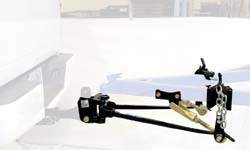 Reese 5th wheel camper hitches are the result of decades of experience in designing and manufacturing hitches that work. 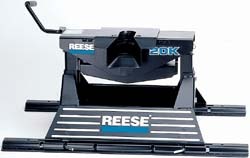 Reese spends a lot of money designing and testing to help insure that you have the best hitch products available. Their products have stood the test of time...products that are easy to install and easy to use. Please Note that the rail kit is sold separately. However, a rails/installation kit (product # 94-4067 ) must also be ordered for a complete system. 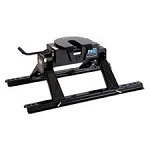 This hitch from Reese comes with a five year manufacturer's limited warranty. Please consult the manufacturer's warranty information for warranty details. The powder-coat black finish for lasting beauty.